I wanted to check my rear brakes, but was unable to remove either brake drum. They do NOT have the screw/bolt holes. I tried hitting the sides of the brake drum and even using a metal putty knife in between the brake drum and the backing, but was unable to loosen the drums. Youtube has lots of suggestions and video's. Heating the brake drum around the concentric works. I didn't find anything on Youtube that worked. However, I came across this. 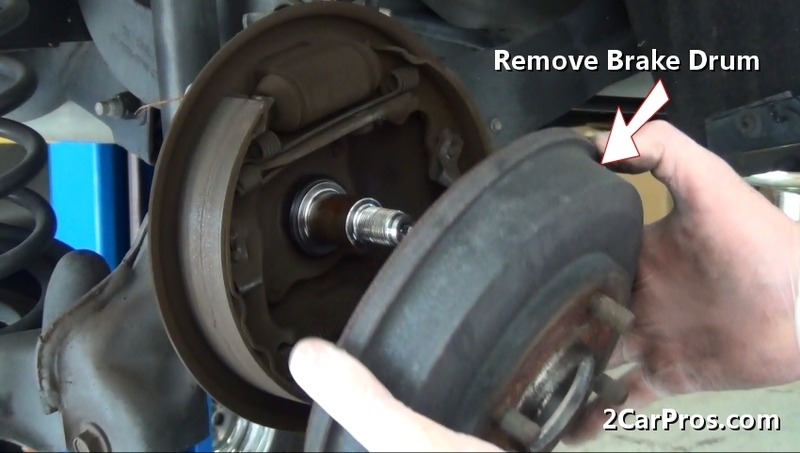 To remove the brake drum, I'm wondering if, like for this Tercel, I have to remove the center nut first, then slide out the drum brake? Is this car 4-wheel drive or front wheel only drive? It's a front wheel drive. I was able to remove the brake drum. The center nut was what was holding it in place. 22mm and 7/8" worked, but were both a little too loose. What's the correct size? Last edited by 1989_Camry; 08-14-2018 at 06:28 PM. The rear hubs/axles are held on by a nut? Can you take a photo and post? Most Camry didn't have this type of bearing system but used a bolt-on hub/axle having a pressed in bearing. Don't know the size of the nut. If 21 mm is to0 small and 22 mm too big what is left? For most jobs use an adjustable wrench on the nut. Hand tighten the nut and rotate the drum each direction a few times to seat the bearing. Then torque the nut to say 15-20 lbs tops with the wrench while rotating the drum a number of times by hand. Then loosen the nut zero torque. You always want some end play in the bearing (side movement), say 0.001 to 0.005 inches. 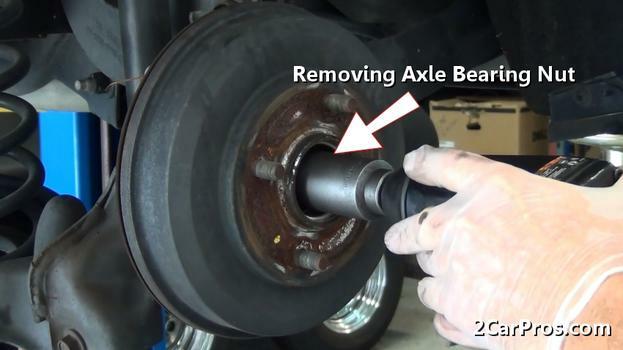 The internet has lots of threads on tightening this type of axle bearing/nut setup.